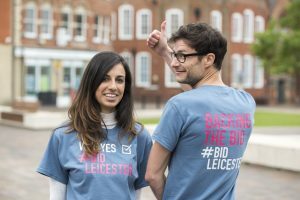 BID Leicester has an exciting opening as we look to build the BID team which will deliver the initiatives in the Business Plan. If you have the experience and drive to lead the BID team we’d like to hear from you. Having the ability to think strategically, whilst working in collaboration with the many partners the BID will interact with, is a must.